Gay Swiss Travel Guide is a guide dedicated to all gays, lesbians and their friends so as to enjoy the best of gay life in Switzerland. Find a bar in Zurich, an hotel in the Valais, a sauna in Lausanne or a restaurant in Geneva. Gay Swiss Travel Guide give you all the information you needs. 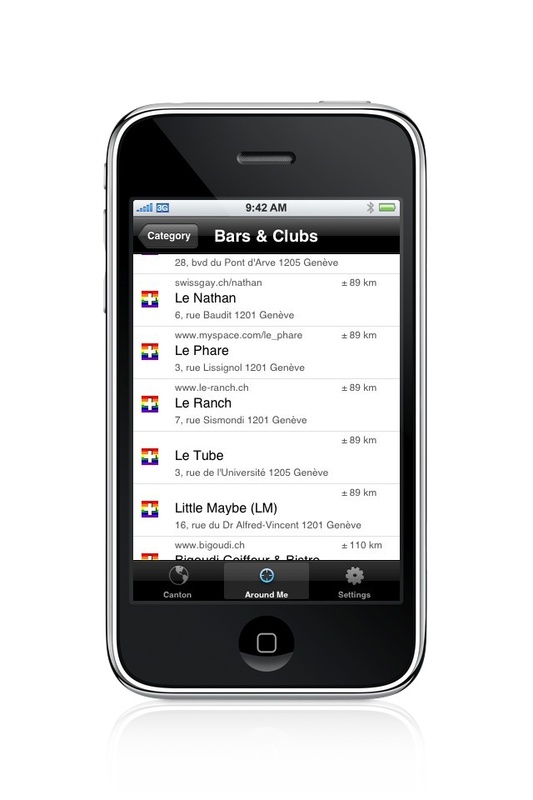 Browse the addresses by countries and categories or use the "around me" search to found what's around you. The content of this application is regulary updated and we appreciate any comment or suggestion to enhance the application.